Prime Minister Shinzo Abe is aggressively pushing the Bank of Japan to ease monetary policy in a bid to boost growth. Japan's economy performed better in the fourth quarter than previously thought, according to revised data released Friday that could embolden the government in its drive to stimulate growth and end deflation. The data showed that Japan's economy grew at an annual rate of 0.2% in the final three months of 2012 -- much better than the negative 0.4% rate initially reported by Japan's Cabinet Office. On a quarterly basis, Japan's gross domestic product was unchanged compared with previous data showing a fall of 0.1%. The upward revision was not exactly a surprise, as other economic indicators have pointed to stronger activity in recent weeks. But the report could provide a boost to consumer sentiment. Japan's economy had been in a shallow recession, and the more positive data should bolster hopes that the country's economic outlook is brightening. The report also provides some political cover for Prime Minister Shinzo Abe, who is pursuing an aggressive set of policy changes in a bid to boost growth. 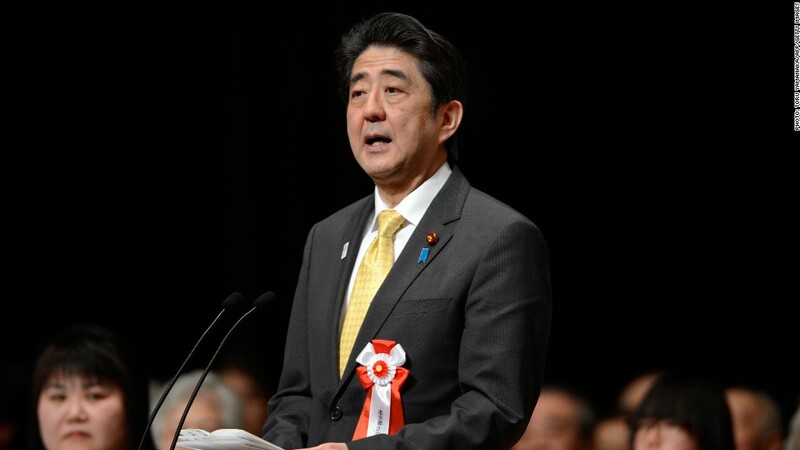 Abe has argued forcefully that the central bank is not moving quickly enough to stimulate Japan's flagging economy. He favors aggressive monetary easing, and made that the centerpiece of his election campaign. The idea is that further easing, combined with fiscal stimulus, could end years of deflation and coax the world's third largest economy out of stagnation. The strategy got a boost last week as Abe nominated Haruhiko Kuroda to succeed Masaaki Shirakawa as Japan's top central banker. The yen has weakened significantly, falling more than 20% against the U.S. dollar since the beginning of October. The Nikkei has been on a tear, adding more than 40% since the middle of November.